2017 was the year of millennial pink everything. I have to admit, it was a sweet colour, but it got sickening towards the end of the year when everything in the world turned into a version of that shade. So it’s refreshing to see a completely different kind of colour — green, in this case — take centre stage on one of the most prominent runways. 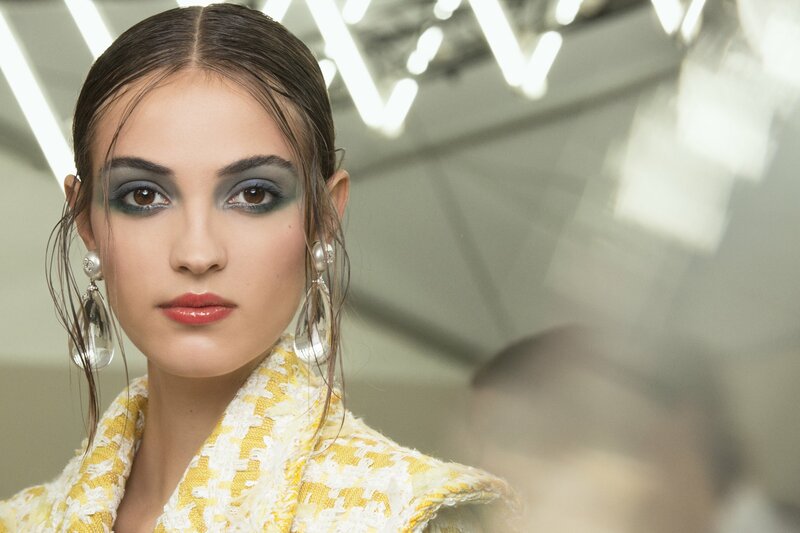 For CHANEL’s Spring/Summer 2018 show, models sported striking green eyes that were intense and smokey, and perfectly matched with brighter lips. 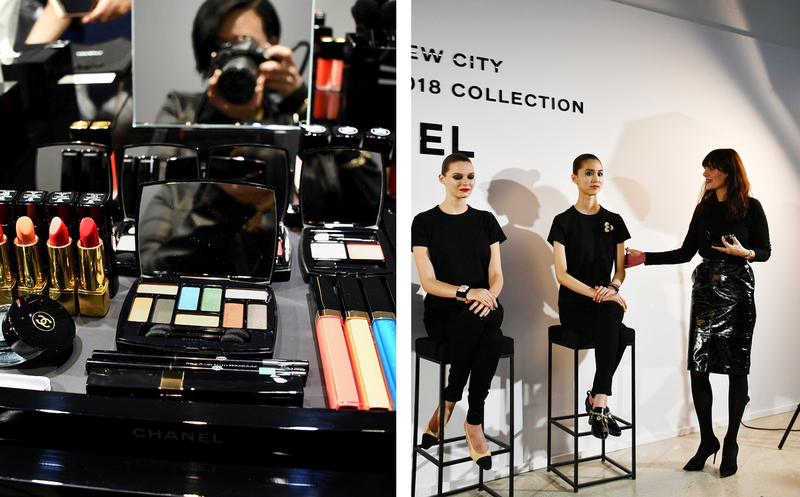 We wanted to recreate these looks using CHANEL’s Spring/Summer 2018 makeup collection by Lucia Pica, who took inspiration from her home town of Neapolis (an ancient Greek city) to create products featuring colours representative of the city. 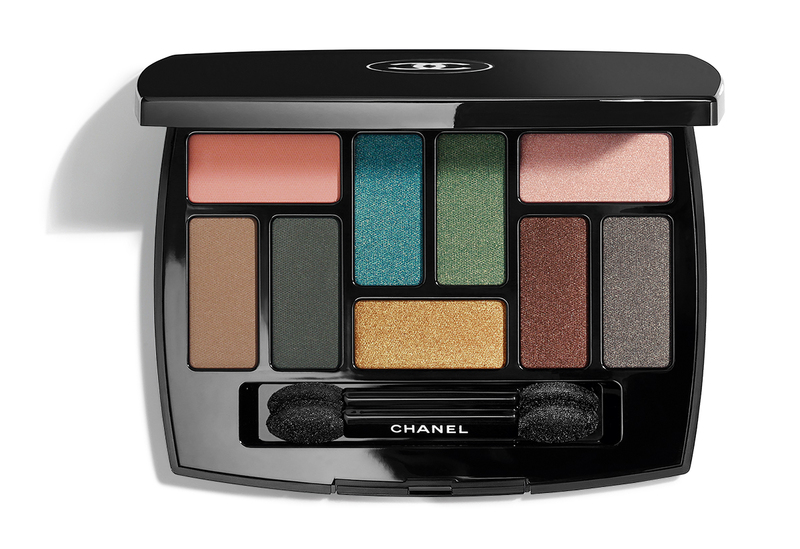 The eye palette features the most number of shades in an eyeshadow palette ever done by CHANEL. Photo taken at the regional press event in Seoul. The lip palette is the star product in this collection; it features a balm that is used as a base, and a lip powder colour that adheres to the balm, and results in a stained, just-kissed pout. Our model, before and after. 1. Start with the black eyeliner (393 Nero Vulcanico) and draw on inner lids (both upper and lower). 2. Use the green eyeliner (938 Mare-Chiaro) to draw a line just above the black line (above the lash line). 3. 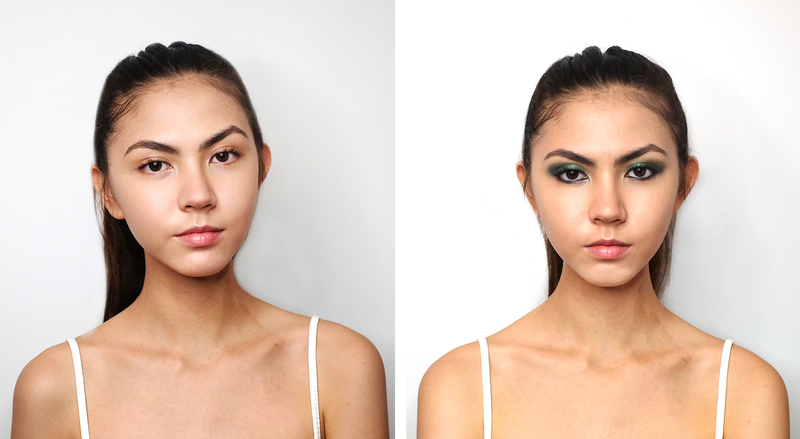 Sweep the green eyeshadow from the palette over the entire lower part of the eyelid. As this particular eyeshadow colour is pearlescent, it is buildable and you can can increase the intensity to your desired amount. 4. Use the grey tone from the palette and sweep it in from the outer corners of the eyelids and blend it with the green. This almost looks like a smokey eye. Use the blush from the Spring/Summer 2018 makeup collection (430 Foschia Rosa), and start at the apple of your cheeks, where the end of the eye and tip of the nose meet. The idea is to pat the powder on lightly, and blend outwards in order to achieve a natural healthy pinkish glow like you’ve spent a day out in the sun. For this look, we’re using the lightest of the three lip powder shades: 418 Rosa Tempera. Use the brush to apply the clear lip balm over the entire lips. Then pick up some of the lip powder colour with the sponge applicator, and apply it over the lip balm from the outer corners of the lips to the centre of lips. The finish is a soft velvet look that is youthful and playful. To create the full runway look, we played with more colours from the eyeshadow palette to create smokier, more intense eyes. layering more towards the lash line. The idea is to create a smokey gradient with more intensity towards the lash line. 2. To create the dramatic runway look, extend the same cream eyeshadow towards the temple. NOTE: If the lines get too dark or messy, clean up using a concealer. Also, to get a more intense eye colour, use a sponge applicator. 3. Layer on the same cream eyeshadow under the eye. 4. Choose the blue shade from the eyeshadow palette and go over the entire eyelid, on top of the cream eyeshadow. This adds an intense blue sheen to the eye look. for a neater, more finished eye look. 6. Choose the matte black shade from the eyeshadow palette, and apply it on the lower part of the eyelid. Blend it into the eyeshadow colours. This creates an even more intense, smokey eye look. 7. 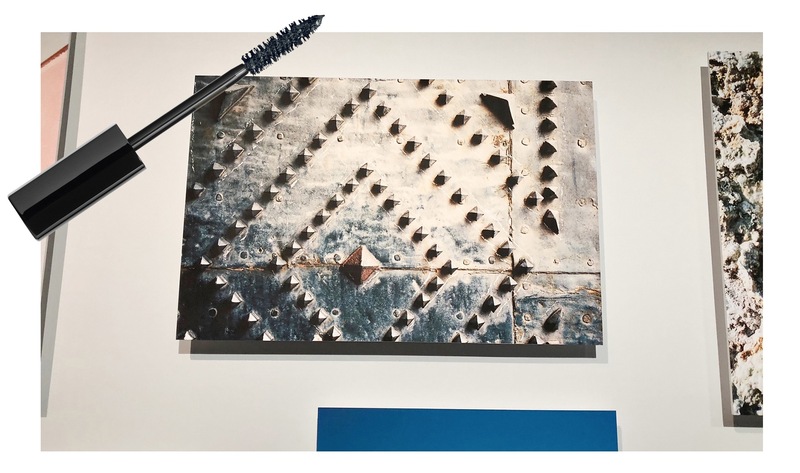 Sweep on the mascara in Nero Metallo. Dab on more of the powder blush. Choose the lip powder palette, 410 Rosso Pompeiano, which has a coral hue, and apply more lip balm with the brush. Then use the sponge applicator to press the lip powder colour onto the entire lips. Really pile it on to create an intense lip colour that will last throughout the night. The inspiration from Lucia for the lip powder, was to create a “just kissed lips” look. Finally, to create the glossy runway lip, use 786 Sibylla and apply it over the entire lips. Layer it on for fuller lips. 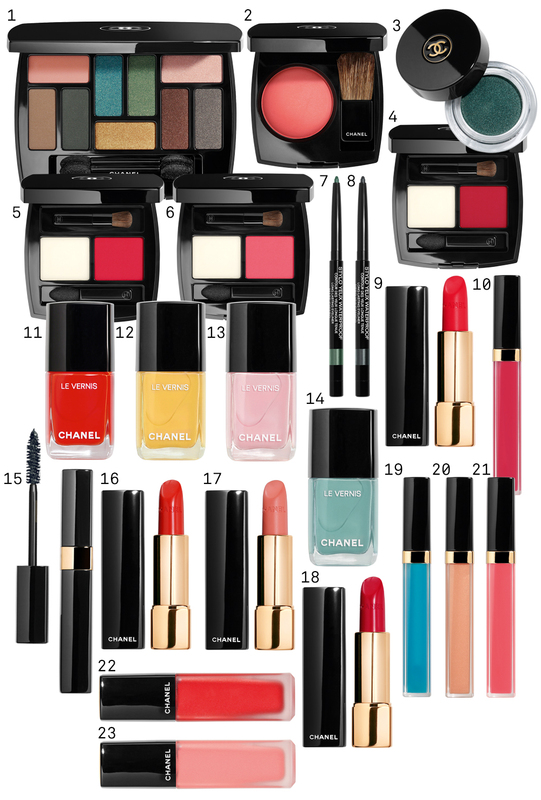 Here’s the full product line-up of CHANEL’s Spring/Summer 2018 makeup collection. Follow us on Instagram (@nylonsg) to see the makeup on our editorial team as well! We challenged ourselves with the green-eyed look, and we gave the gorgeous lip palette a go (but of course! ).